In 1979, sixteen-year-old Doctor Who fan Steve Cambden’s dreams of working on the Doctor Who TV series came true. 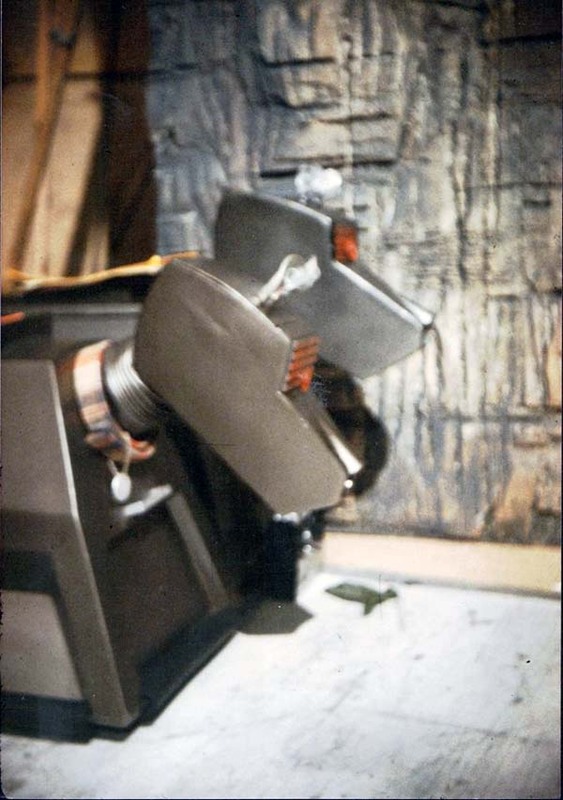 Steve would become K9’s assistant operator, and thus a lifelong bond with The Doctor's robot dog and cult science-fiction show was born. Steve’s involvement with Doctor Who led to a career as a stage technician for film and theatre. He is a regular guest at conventions and universities. Now, two unofficial books about the visual effects on the classic Doctor Who series written by Steve, are available to purchase online. The first book, The Doctor's Affect, was originally published in 1999 and chronicles how Steve achieved his dream as a teenager to work on the series, with in-depth accounts of the recording of the Tom Baker serials Destiny of the Daleks, Nightmare of Eden, The Horns of Nimon, Shada, Meglos, Full Circle and State of Decay. The book also includes a comprehensive account of K9’s creation. The second book, The Doctor’s Effects, features interviews with many of the visual effects and design legends who worked on Doctor Who throughout the series 'classic era', covering over a hundred productions including stories such as The Daleks, The Tomb of the Cybermen, The Sea Devils, Genesis of the Daleks, Terror of the Zygons, The Awakening and The Trial of a Timelord. The book includes interviews with visual effects technicians Bernard Wilkie, Jack Kine, John Friedlander, Ian Scoones, Mat Irvine and Dalek designer, Ray Cusick. Tom Baker, the fourth actor to portray Doctor Who ;looks at copies of the books. The online initiative has been organised by Steve's long-term friend Simon Meade, of The Ark in Space Facebook group and Twitter feed. Both books are available, personally signed via the Sevenzero.net website where Alex Storer has, for several years been sharing information about Steve and his books. Visit sevenzero.net for further details.